No sugar? No salt? No problem! Every week I have to make bread at home. 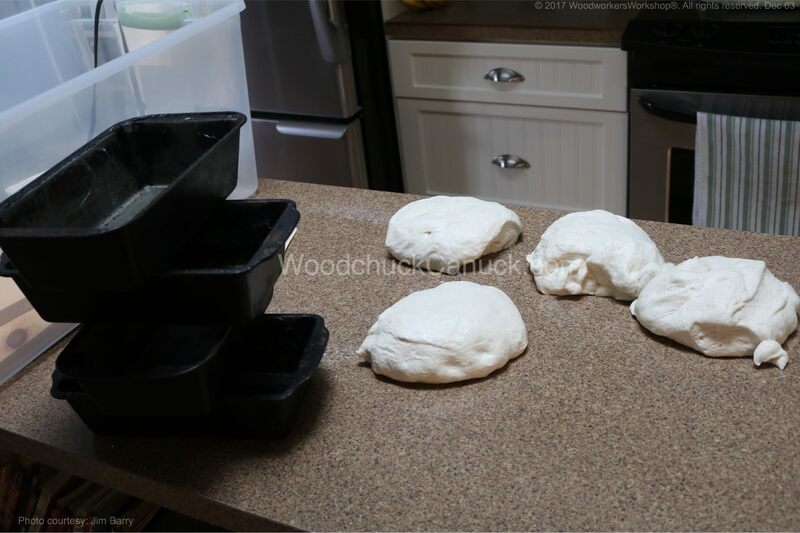 I make other things too with this same bread dough, rolls, sub buns, hamburger buns and pizza shells. Today its white bread. But today I realized that after I had the dough developed I forgot to add the sugar and salt. Now what to do? Here’s a simple solution. Its an extra step and a bit of extra work but it solves the problem of getting the salt and sugar back into the dough. First off let me say that you could make bread without the salt and sugar, the bread dough will rise and bake but it will be different. 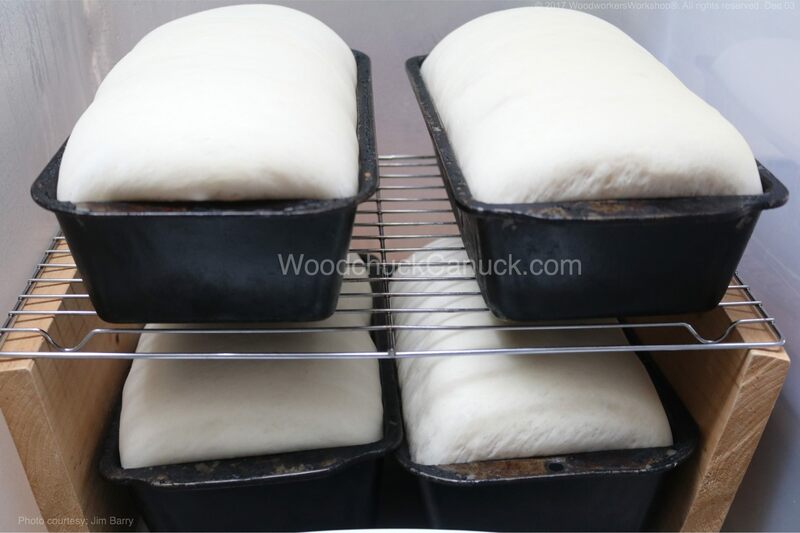 The baked bread will not have much colour (sugar enhances the colour of the crust and flavour) and the salt enhances the flavour as well. Make a slurry. Measure out the sugar and salt that is suppose to be in the recipe and put it in a cup. Next add just enough water to make a ‘slurry’. I used a teaspoon and added one teaspoon at a time. Mix with your fingers so you can feel the sugar and salt crystals dissolve in the water. You won’t get all the crystals to dissolve and that’s ok. In this recipe there’s about 6 tsp sugar and 2 tsp salt. I added about 3 tsp water to make the slurry. Press flat the dough and dip your fingers in the slurry. Smear a bit the slurry over the dough. Not all of it at once. Just enough to make the dough a bit wet. 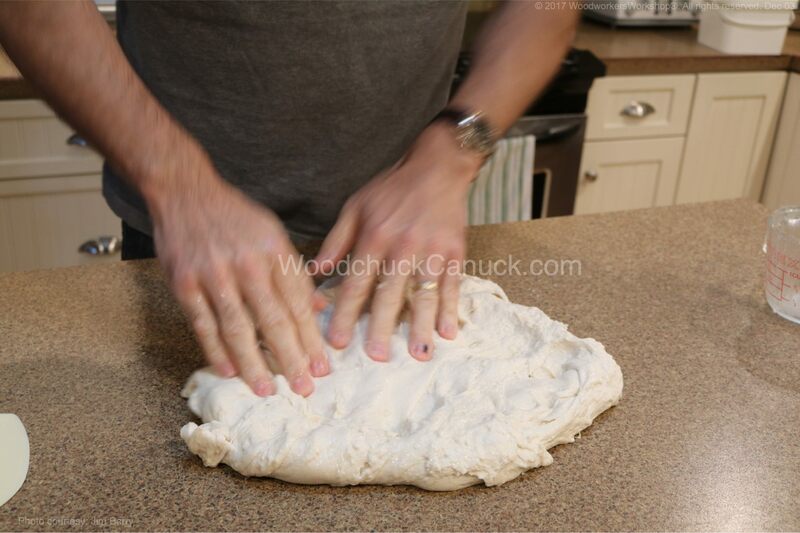 Now fold the dough 2-3 times to incorporate the wetness. Press flat and repeat those steps. I basically had to repeat the steps 5 times to get most of the slurry in. Now comes the arm work out. Start folding the dough. 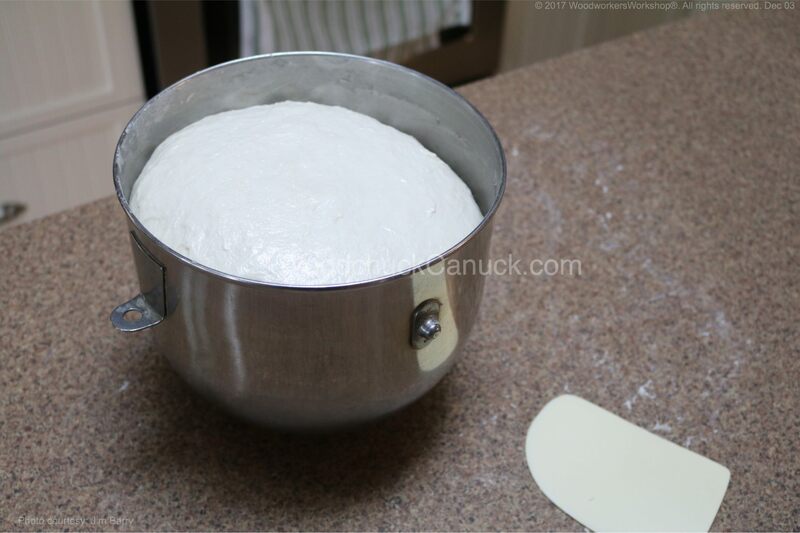 The dough with not want to stretch because you’ve been handling it so much. It will tear and break and that’s ok. Keep working the dough until the dough starts to develop and become more consistent to what you are familiar with seeing and feeling. I folded the dough near 100 times on the table to get it to feel how I wanted it to. If you use a mixer to develop your dough, you could able to do it that way but you will have to add the slurry more slowly while stopping/starting the mixer. 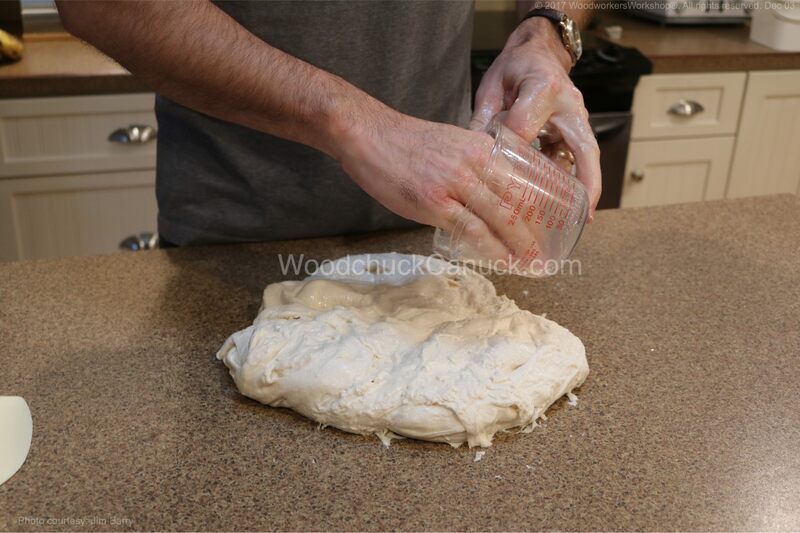 Pour in too much and the dough will just slosh around the bowl. That’s not what you want, as you would end up having to take it out of the bowl and rolling it by hand anyway. I use a mixer to make my dough, but in times like this, I think its better to get my hands into the dough. Time to rise. With the slurry incorporated its time to let the dough rise. From this point onwards, you can process your dough as usual. For me, the first rise begins (for an hour). Pictured below is after the first rise. Now its time for the second rise which for me is another 30 min. After that, divide the dough and place into pans. Then place the pans in the proof box for its final rise. Everything seems to be on track, rising normally and ready for the oven. 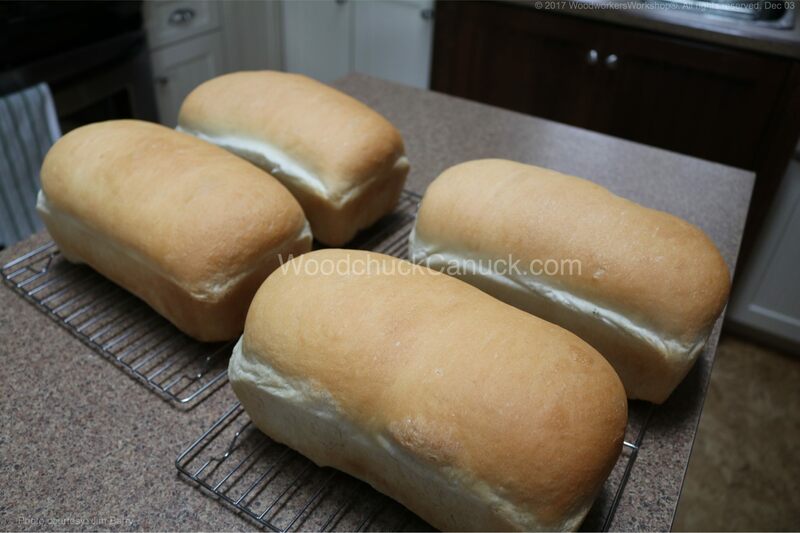 If you have any question or comments about my bread making, feel free to comment below.